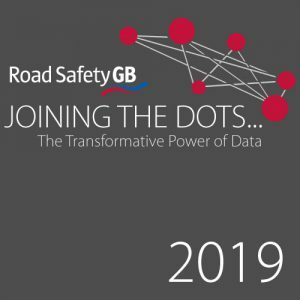 Organised by Road Safety GB in partnership with Agilysis, the fourth edition of ‘Joining the Dots’ will take place in London on the 5th March 2019. The theme for the 2019 event is ‘the Transformative Power of Data’, with the programme focusing on topics including data science and behaviour change. Richard Leonard, Highways England, will explain the organisation’s Road Assessment Programme. Nicola Wass (SoMo) and Tanya Fosdick (Agilysis) delivering a joint presentation titled ‘Combining STATS19 with insight data – a case study of Liverpool adult pedestrians’ . Agilysis is further represented on the agenda by both Richard Owen, who will discuss the new International Road Assessment Programme (IRAP) and Bruce Walton, who will look at the ONS CRASH effect.